Help Typhoon Sendong Victims! 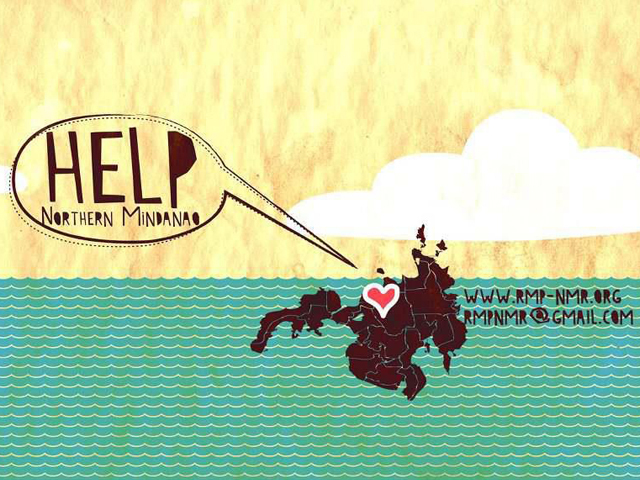 Help Northern Mindanao! What to donate? Drinking water, ready-to-eat food in easy-to-open containers, medicine, toiletries, sanitary pads, soap, shampoo, infant needs, baby bottles, milk, diapers, clothes, mats to sleep on, blankets. Bring to LBC TIMOG Branch (in front of GMA 7). Look for the manager, MS. Gina Torre. Let’s all make our holidays more meaningful, help Mindanao! Tell your friends, spread the word! Watch video of actress and women’s rights advocate Angel Locsin on why she will vote for Liza Maza this May 2010. Liza Maza and Satur Ocampo both came from progressive partylists and have a long history of defending the interest of the Filipino people in various fields of struggle. I think this was taken during MAZALine, a nationalist fashion shoot together with Sandra Araullo, triathlete, model, and daughter of Bagong Alyansang Makabayan chair Carol Araullo. Video from Sinagharaya’s YouTube channel. When typhoon “Ondoy” clobbered Metro Manila and its sorrounding areas, hundreds of lives were lost, almost half a million people were displaced and millions of pesos in properties were damaged. Five days later, typhoon “Pepeng” came and delivered what was like a knock out punch to Northern Luzon and to other already damaged areas. Leaving hundreds dead and billions of crops destroyed, once again the Philippines is faced with a crisis that would seemingly take forever to resolve. Help would come as early as the day “Ondoy” hit Manila and it came from different sectors of society and even from unexpected places. Assistance in any shape or form was welcomed. But no matter how much support was being taken in, the destruction of two typhoons was enormous. To rebuild people’s lives and livelihood is a long journey. We hope to join in this journey. Shop and Share is here to assist in rebuilding the lives of those who were affected by typhoons “Ondoy” and “Pepeng”. The items being auctioned were pledged by the celebrity supporters as their own committment to the rebuilding process. Be a part of our way. Be a part of this auction. In the aftermath of typhoon Ondoy and Pepeng, Rico Blanco writes a song to boost the moral of the Filipinos and raise additional funds for the relief efforts. Former Rivermaya band member posted the announcement a while ago in Facebook including a link to free downloads of the song. Barely two weeks after Typhoon Ondoy (Ketsana), Typhoon Pepeng (Parma) ravages Northern Philippines leaving more than 200 deaths. People’s organizations in the Cordilleras are asking for help in providing immediate relief to the victims of mudslides and flood brought about by Pepeng.